On Wednesday, July 4th, all South Central Clinics will be closed. 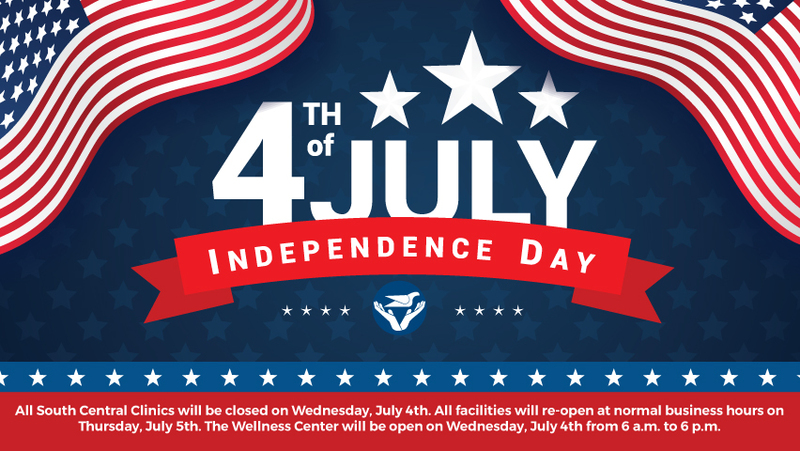 The Wellness Center will be open from 6 a.m. to 6 p.m. All facilities will re-open at normal business hours on Thursday, July 5th. We hope you and your loved ones have a happy, healthy and safe 4th of July!